Having your washing machine break down can be a real inconvenience. More often than not, getting your washing machine repaired is a lot more cost-effective than buying a new one. Call Harbour Appliance Services to get your washing machine repaired no matter what make or model your machine is. We repair Bosch washing machines and other major brands. 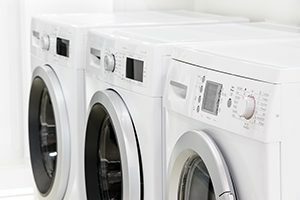 We know that when your washing machine breaks, you’ll need a fast repair to keep up with your family’s laundry. No matter the brand or model of washing machine you own, we can quickly diagnose the problem and repair it.